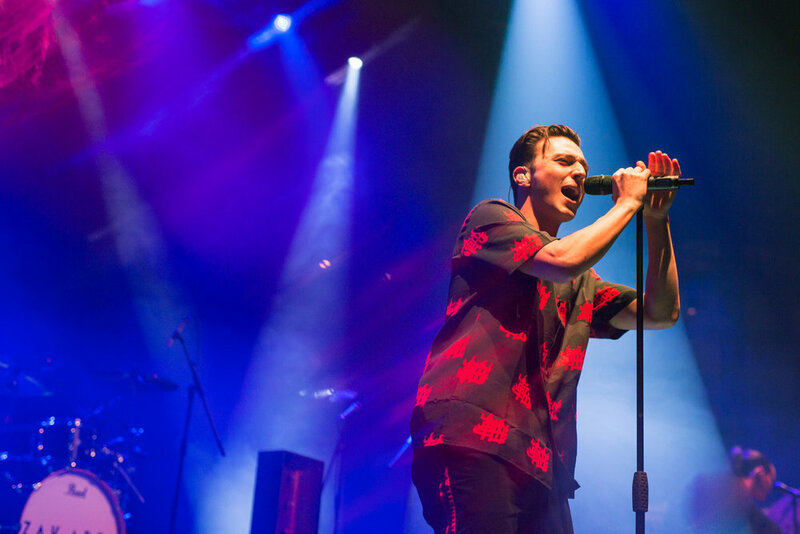 Returning to his hometown as part of his UK and Europe tour, Zak Abel performed a sold out show in London’s Roundhouse last Saturday night. The 1700 capacity venue was brimming with fans of the pop artist. Last time we saw the 24-year-old artist, he was playing O2 Shepherd’s Bush Empire and its great to see him taking on the biggest venues in the city. The show comes at the end of his ‘Date Night’, a series of free monthly fan events, such as vegan dinner with the artist and intimate shows. This has helped him to cultivate a relationship with his fans and it is clear during the show that his fans not only enjoy his music, but really do love him as a person. Some of the fans looked up in awe at the rising pop star whilst others were dancing like nobody was watching. The atmosphere around the whole set was one of inspiration and ambition. There was optimism bouncing around the room and it was clear that when fans were leaving, they were ecstatic. His track, ‘You Come First’, was featured in his O2 Shepherd’s Bush Empire gig before its release and now it is one of his most anticipated songs of the setlist. Zak spoke about how he used to come to Roundhouse when he was fifteen to use the music facilities and how it was such an honour to now be headlining the stage. He treated the crowd to his parody song, ‘Vegan’, and a new track called ‘Shame’. Both were huge hits with the crowd and the artist had to wait for cheers to die down and for the crowd to become quiet again. Whilst the crowd loved the new tracks, he also played some of his older tracks from before his ‘Only When We’re Naked’ album. 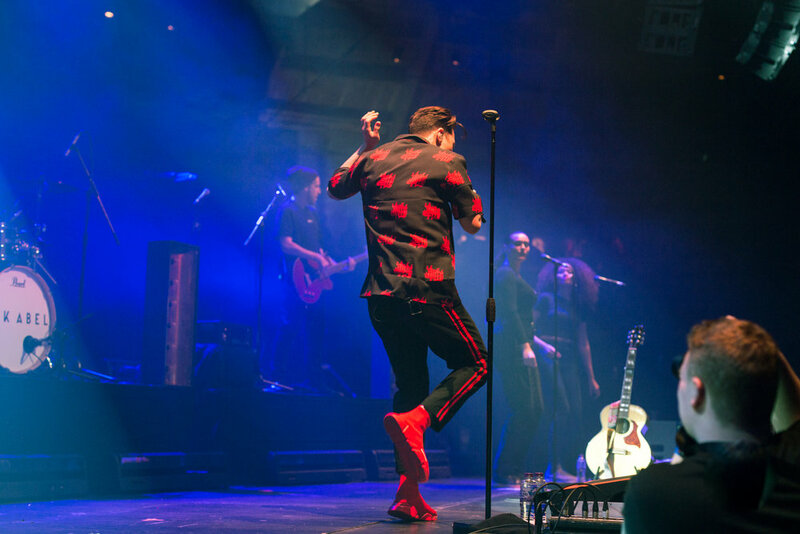 Backed by his great backup singers and a band featuring a drummer and a bassist, Zak Abel came with all the moves and a great stage presence to keep the crowd entertained. He really is a great all-round performer with superb vocals and a hugely likeable personality. From his last show, you can see he has refined his moves and knows how to keep the crowd engaged with his tracks. One thing that is undeniable is how happy the artist is to be on the stage, especially this particular stage as it means so much to him. By the end of the night we are all filled with the anticipation of new music coming our way from Zak and also with an immense sense of pride for the artist and how much he has achieved thus far.